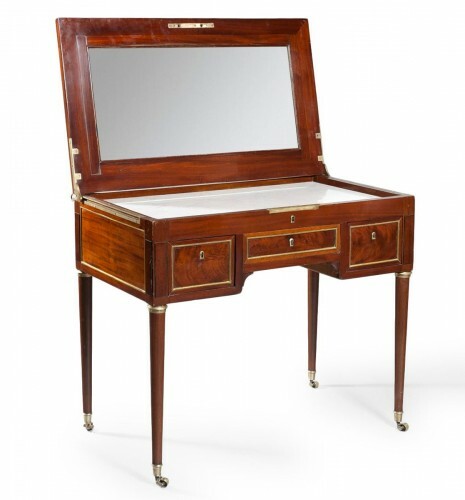 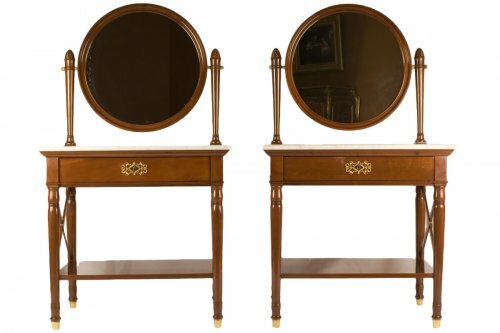 A dressing table is a refined and beautiful piece of furniture that was introduced in the eighteenth century. 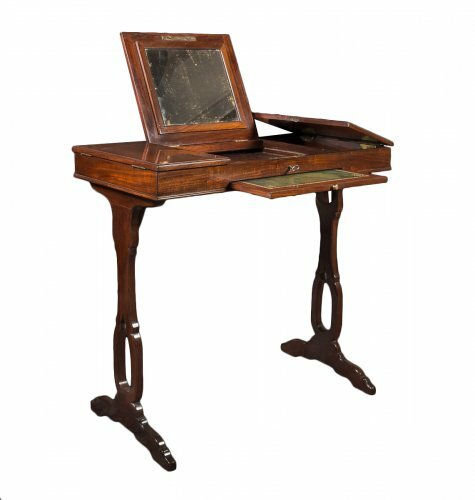 At the time, make-up and powdered hair were very much in fashion for both women and men. 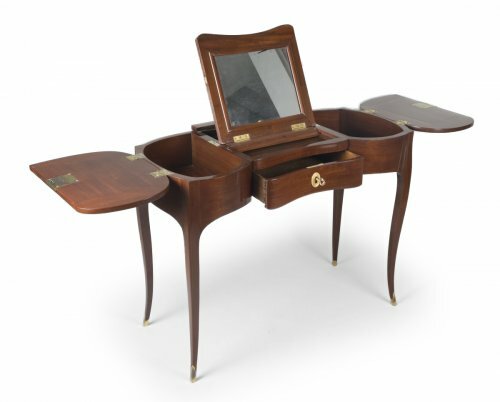 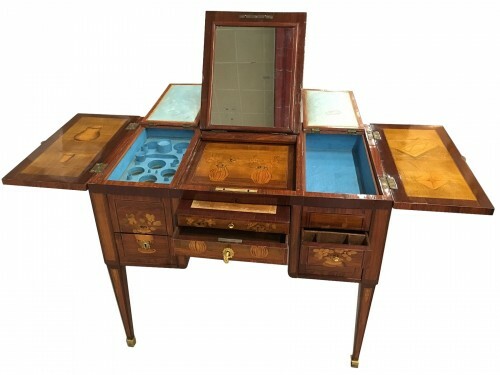 The dressing table, which was also known as a ‘table de toilette’, ‘table à poudre’, or ‘poudreuse’, was a piece of furniture that played a very important role in social life, because the beauty products were not necessarily applied in private—the process sometimes took place in front of an audience of admirers and guests. 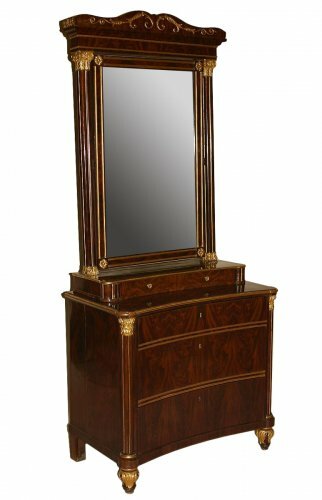 A dressing table is a small table with a top divided into three parts: the central part extended towards the back to reveal a mirror that slid in a groove. 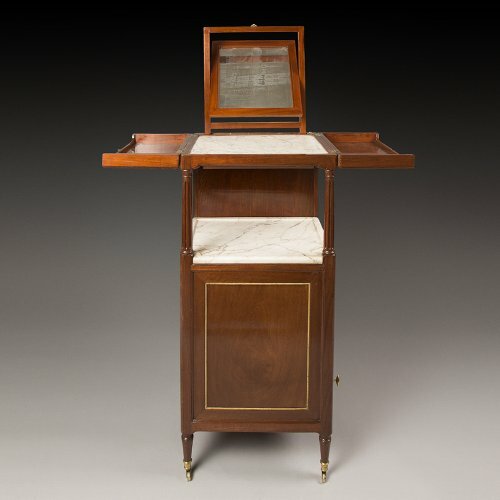 The lateral flaps opened to the left and the right to reveal compartmentalised compartments for storing various containers and make-up. 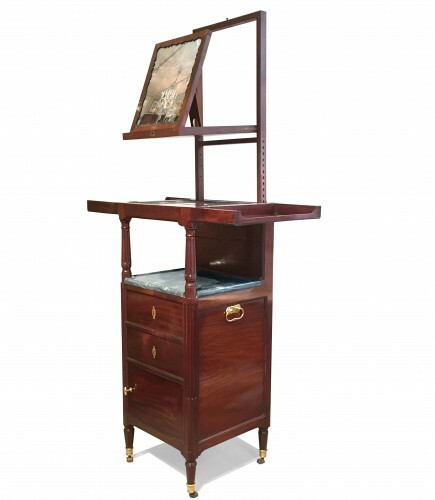 Certain models have a marble top. 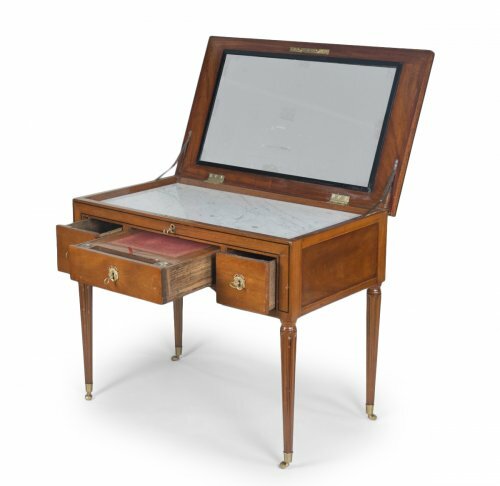 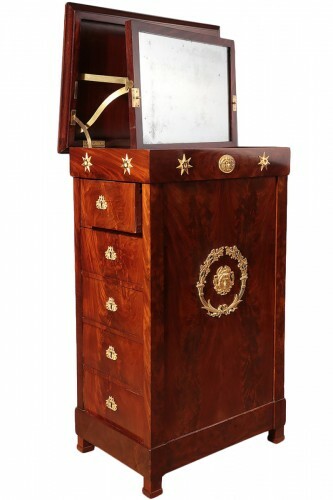 At the front, a dressing table has two or three drawers and a central leaf that are sometimes covered in leather. 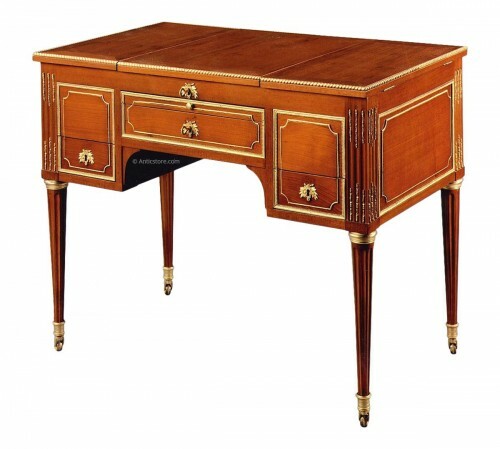 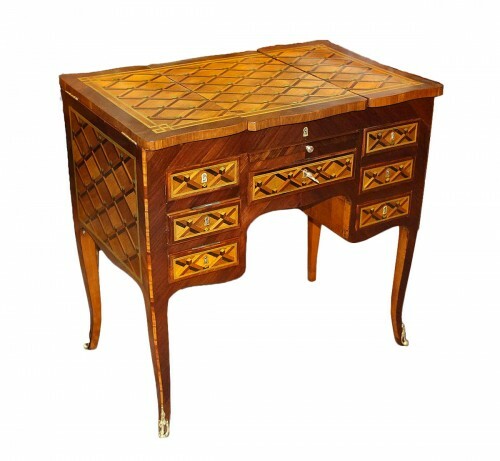 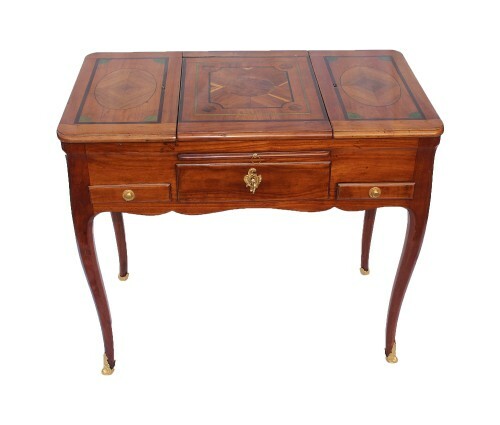 Dressing tables are made of precious wood (rosewood, mahogany, and tulipwood). 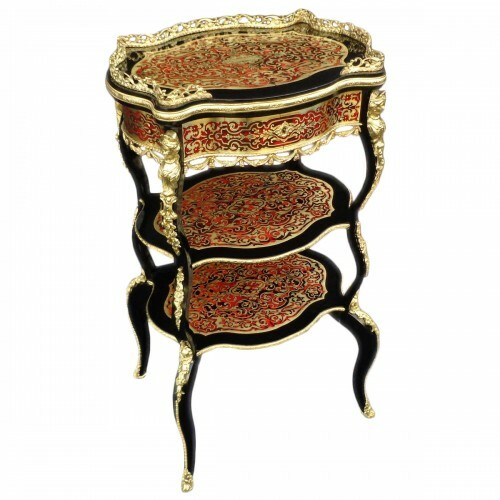 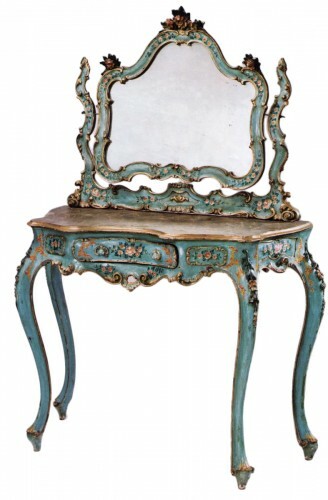 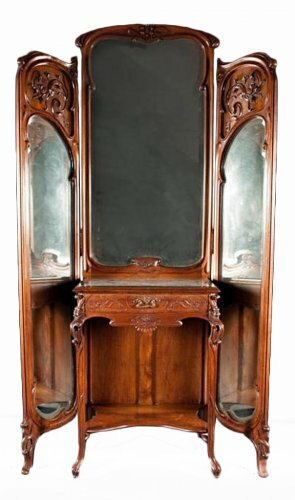 Models made for women are decorated with floral marquetry and male dressing tables are ornamented with cubic marquetry.